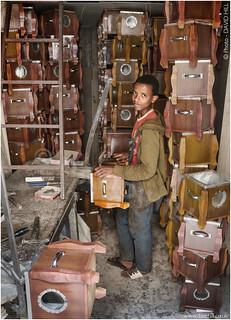 A young cabinet maker in his cramped workshop in the recycling market in Asmara, capital of Eritrea. Eritrea. December 2014. © David Hill.